Hot Picks! Shaving Gear Home | About Us | Opportunities | Sponsorships | Contact Us! Shaving can be a real pain, literally, but when you have the best handmade shaving gear on hand you’re going to end up with a better shave, happier skin, and a lot less irritation. This week, the Handmade Men team selected products from across the web to help you get the perfect shave every time in a way you might actually enjoy! From shaving brushes and soaps to aftershave and moisturizers, here’s a list of everything you need with the quality that only handmade artisan products can give. This classic method of shaving helps lubricate your skin while cleansing and moisturizing at the same time. The good news about shaving soaps is that they tend to have all of the natural and gentle ingredients of soap and none of the harsh chemicals that usually go in to a synthetic shaving cream product. 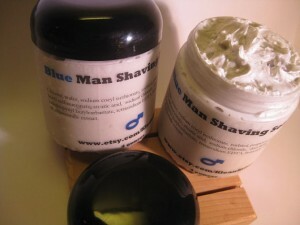 To use handmade shaving soap, invest in a top quality shaving soap brush. 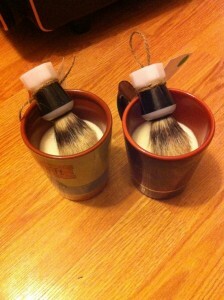 Drop your soap in a mug or dish, get it wet, and use the brush to work up a lather. Then, apply to your face with gentle circular motions making sure to work the lather in to your facial hair and the skin under it. Your skin takes a serious beating when you shave! The blade removed dead skin cells (a good thing), but leaves the newer skin layers a little vulnerable. 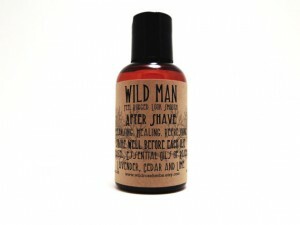 An aftershave soothes razor burn and irritation, seals in moisture, and tightens up your skin for quick healing. 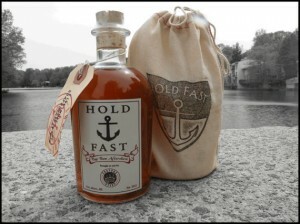 Many men look forward to their handmade aftershave experience because of the scent and sensation. 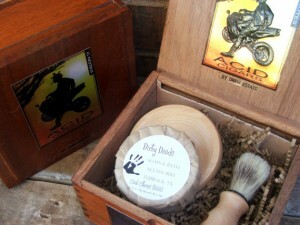 Here are a few of our favorite handmade shaving gear products. Click on the images to see more from each shop! 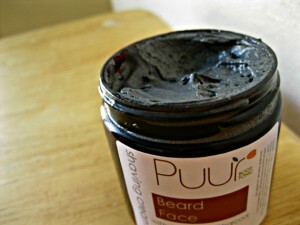 Do you have a favorite handmade shaving product? Share it with us in the comments section below and we just might use it in our next Hot Picks feature! Tagged aftershave, etsy, handmade, shaving, shaving soap. Bookmark the permalink. I Shave After I Take A Shower.